It is up to you to decide whether or not you want to do the entire packing and shifting job yourself or hire the professional service of a moving company. It depends on your available time, energy in you, capability of handling such a strenuous project and most importantly, the price factor. Most people believe that hiring experts for moving is a costly affair but such belief is far from the truth. Good and reliable moving companies will offer their exceptional service at most affordable price and also offer several packages for you to choose. You simply have to be wise to make the right choice of company and package. You must have a proper budget in mind and in hand so that you can decide quickly on which type of moving companies you will want to hire. You can select a premium relocation company if you can afford as they will charge you a full truck load fee. The advantage of hiring such a company is that the goods will be packed and loaded properly at your home and will be delivered at the new address in undamaged condition. They offer door to door service and do not open the truck load during the transit. Moreover, the assurance of safety, insurance and on time delivery of your belongings will make such a decision most cost effective. Whatever you choose, you should hire the best service provider and certainly not rely on shared transportation mode. This will increase your concern whether your items will be delivered on time and safely. Therefore, get rid of all such worries by hiring the best and most professional moving company. To choose the best look at their years in service, location of office at the source and destination address, staffing in the office so that you can keep a track of your goods in transit. 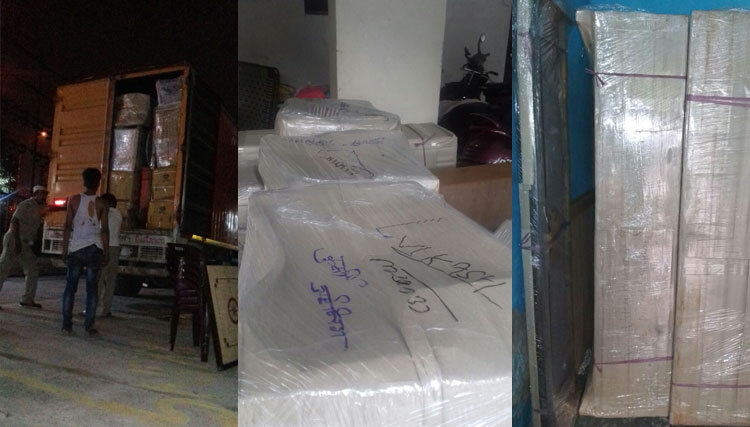 If you call Vikas Packers and Movers you will see why they are considered the best in the industry. Pick up the phone to enjoy a hassle free relocation.